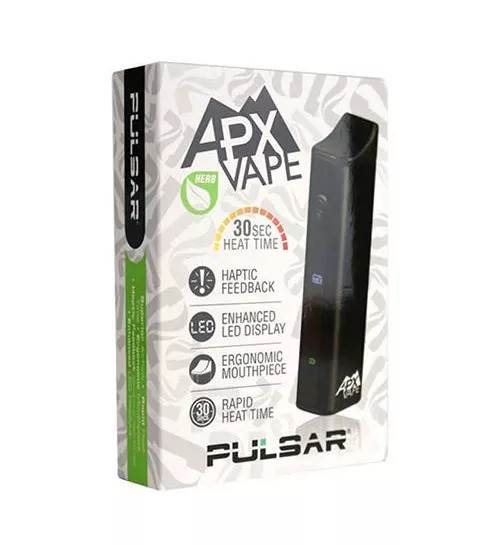 Buy online Pulsar APX Dry Herb Portable Vaporizer in the Vape store | Vawoo.co.uk! Minimum quantity for "Pulsar APX Dry Herb Portable Vaporizer" is 1. 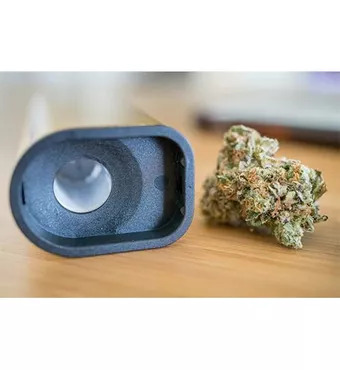 The best Dry Herb Vaporizer - The APX Vape Just Got Better and now available from our online store in the United Kingdom VaporizerHut proudly presents the Pulsar vaporizers range. 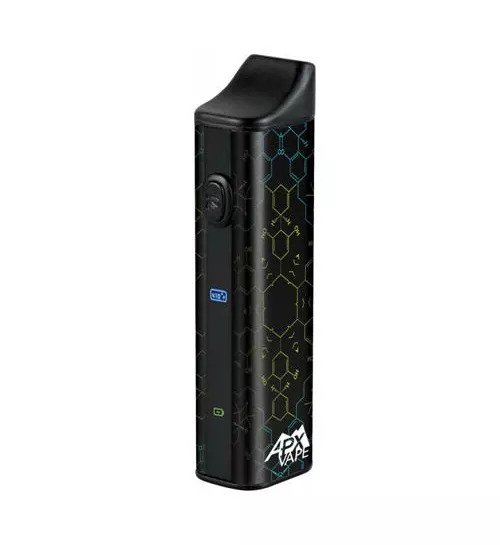 The APX Vape offers the next gen of portable, affordable, palm-sized vapes! A faster 30-second heat time, haptic feedback, enhanced LED display, ergonomic mouthpiece, silicone mouthpiece insert, 10x16mm ceramic chamber, finely tuned temperature settings, and more! The Pulsar vaporizers range comes with a one-year guarantee. Other features include a simple 5-click power function and a 5-minute auto turnoff time. The kit includes the APX, USB cable, stir tool, cleaning brush, and extra mouthpiece silicone insert. Everything comes packaged in a reusable gift box. Set the bar high and reach for the APX- the highest caliber dry herb vaporizer on the market!